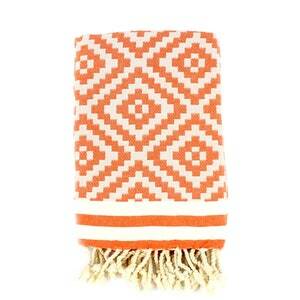 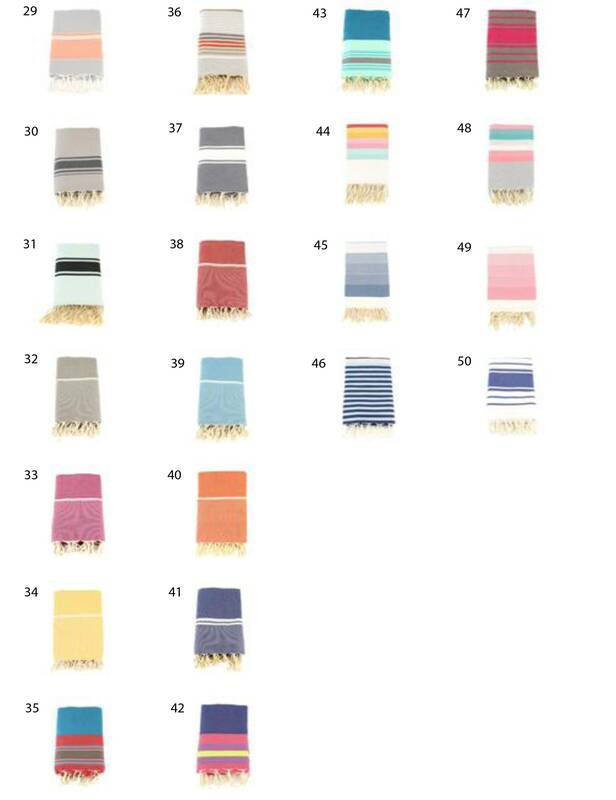 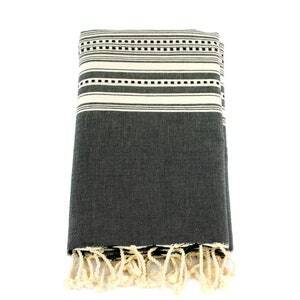 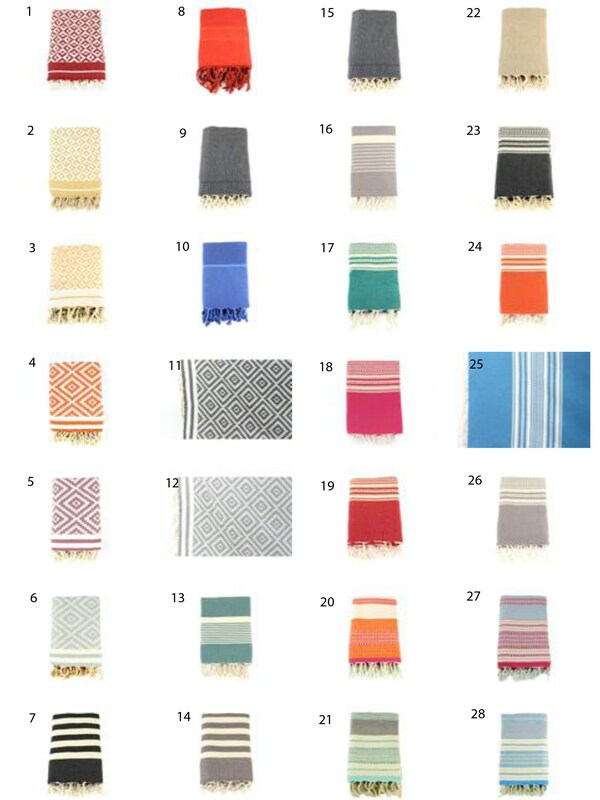 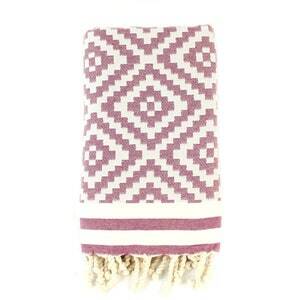 Minimum wholesale order 12 towels. 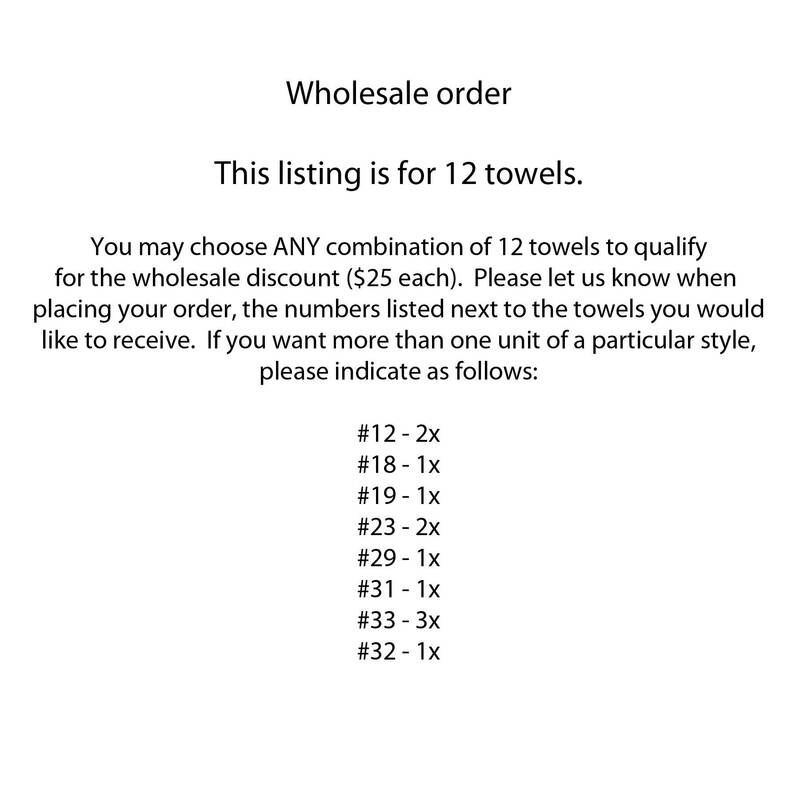 This listing is for 12 towels at $25 each. 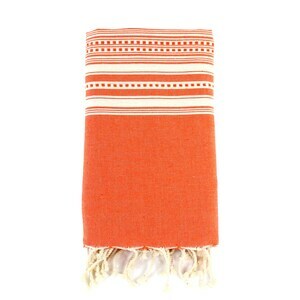 ***Offering free shipping now through December 15th!! 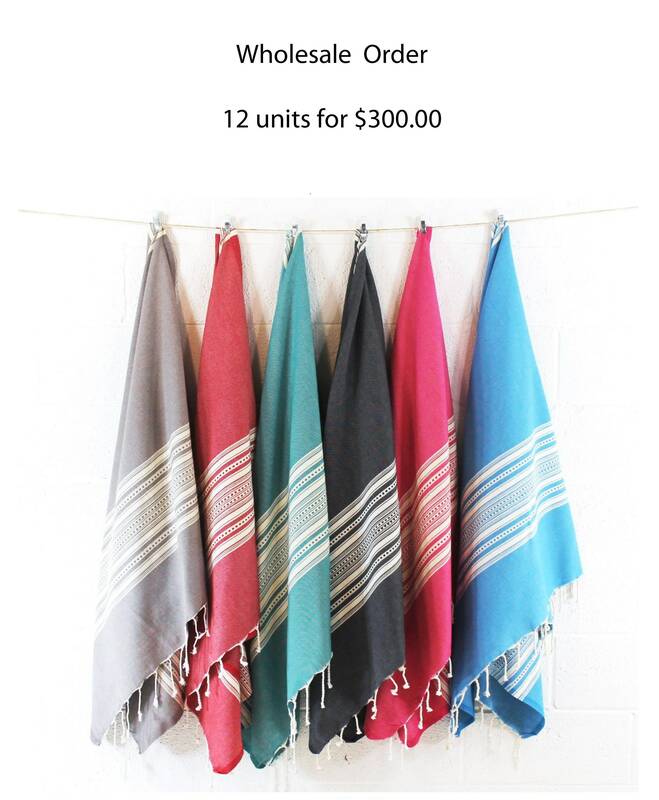 If you're interested in purchasing more than 12 units, please message us regarding further wholesale discounts.